We are centrally located in Fort Lauderdale Beach. We are near the Bonnet House Museum and Gardens, Hugh Taylor Birch State Park, International Swimming Hall of Fame, Las Olas Blvd., Riverfront, Water Taxi, Port Everglades. 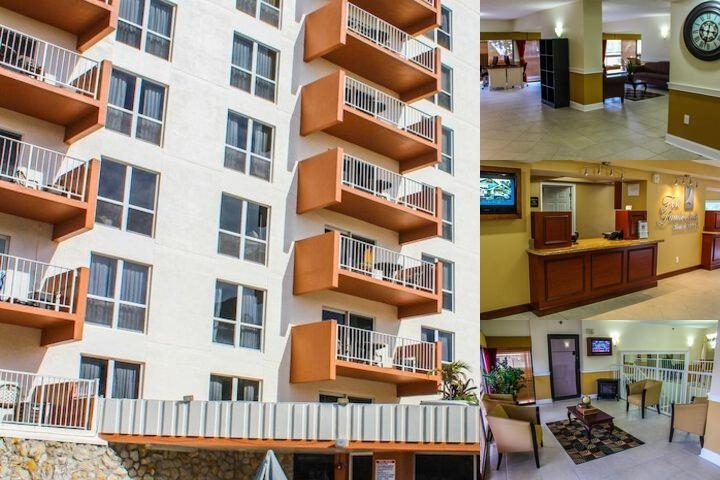 The Fort Lauderdale Beach Resort is your home away from home providing comfortable and spacious condo-style accommodations which are newly updated and boasts granite countertops and flat screen TVs. Savor the magnificent views of the Atlantic Ocean and the Intracostal Waterway and experience the fun and excitement of the famed Fort Lauderdale Beach. Relax on the sundeck while enjoying views of the ocean, soak away stress in the oversized hot tub, and sip a tropical cocktail at the pool bar. On-site amenities include a fitness center, spa services, saunas, Starbucks coffee in the lobby, free internet kiosks, free wifi, and much more. We offer plenty of fun activities on-site and plenty of things to do nearby. In the heart of all the fun, our superb location offers easy walking distance to plenty of boutiques, restaurants, nightlife venues, the Galleria shopping mall, and area attractions including the historic Bonnet House Museum and Gardens, the Hugh Taylor Birch State Park, the famous Water Taxi, and the popular Fort Lauderdale Beach Strip. 72 hours is required for a full refund. We are located within 10 minutes of the airport. From FLL to Resort: Take US1 north from the airport to Sunrise Blvd east. Turn right onto Breakers Ave. The resort will be on your right. Local Shuttle Info: From the airport or cruise port, $18 for one or two people and $8 per person for 3 or more people. Advance reservations are required. Below are the meeting, banquet, conference and event spaces at Fort Lauderdale Beach Resort (Condo Hotel). Feel free to use the Fort Lauderdale Beach Resort (Condo Hotel) meeting space capacities chart below to help in your event planning. Hotel Planner specializes in Fort Lauderdale event planning for sleeping rooms and meeting space for corporate events, weddings, parties, conventions, negotiated rates and trade shows. 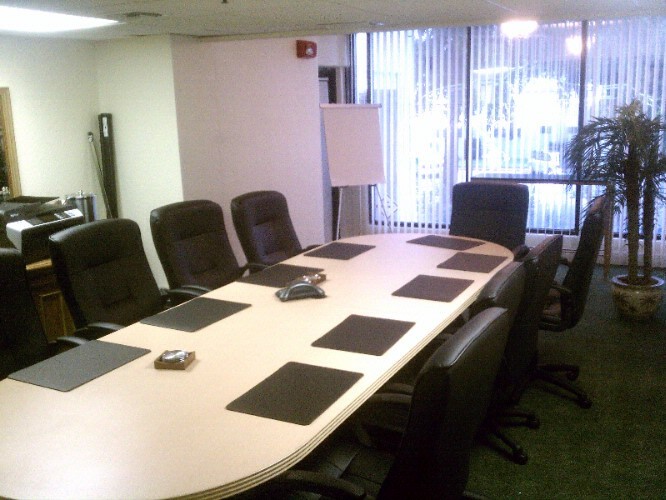 This private boardroom offers a great meeting space for up to 12 people featuring high back executive style chairs, wifi, TV, DVD, conference phone, projection, dry erase board, easel, and beverage service. Free parking is also available. Please inquire with any questions that you may have. 12 x 23 x 8 Ft.
We provide discounts for booking multiple days.